Whether you come into reception or phone, you’ll be met with a warm friendly greeting from our first point of contact Stella, who works full time in Administration. Ko Tainui te Waka, Ko Kawhia te Moana, Ko Ngāti Maniapoto te Iwi, Ko Rakaunui te Marae. Stella was born in the King Country and grew up in Camberley, Hastings. Stella enjoys the diversity of her Administration role whether it be meeting new whanau, supporting kai mahi in their roles or completing the differing administration tasks. Stella’s work history includes 12 years with ACC Hawkes Bay and also working for Women’s Refuge in the Waitomo/Waipa area. 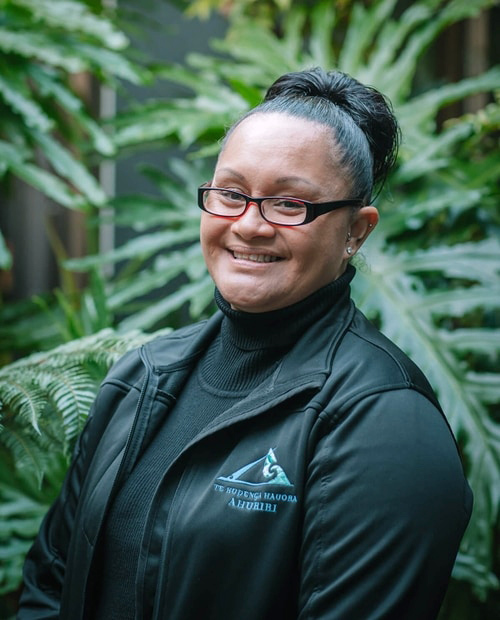 She finds the move to working in a Hauora Māori Organisation a wonderful progression since joining the Te Kupenga Hauora – Ahuriri whanau in October 2015. Stella’s greatest achievements so far are her 4 beautiful tamariki, her twin mokopuna and completing her first half marathon run as part of an IronMāori team at the age of '40 years young' and completing the 'Longest Day' with the William Colenso College C.A.C.T.U.S programme running a 36km physical endurance event in 2017. Stella has a Level 4 Certificate in Te Pūtaketanga o Te Reo, Level 2 in Computing, Level 4 Certificate in Raranga and Level 4 Certificate in Te Reo Māori.